With 85 percent of all online transactions being completed via credit card it is imperative that small and medium sized merchants have the ability to accept credit and debit cards, and that is where Wonder Pay comes in. They provide small and medium business the ability to inexpensively accept credit cards by offering the complete infrastructure to authorize, capture and settle online credit card purchases. Wonder Pay also incorporates state-of-the-art fraud and risk prevention mechanisms to keep their merchants safe. Merchants can use secure socket layer (SSL) connections or a leased line to transmit transaction data. 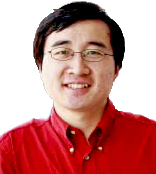 They also provide a customizable fraud and risk management system (FRISK) that allows businesses to employ an optimal level of protection for their business. 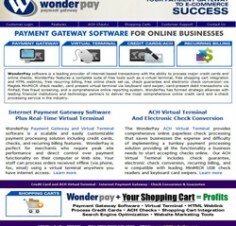 You must have a US business address and a US bank account to process with WonderPay Software. You will be able to process Visa, Mastercard, Discover, American Express, Diners Club, and JCB cards. All transaction verifications are online only, meaning you cannot use World Pay to do telephone verifications, though you can bill a credit card which you have verbally authorized through their virtual terminal. Note that account cancellations require 30 day written notice.